A lot of cars don’t come with a spare wheel of any kind these days, and instead come with a can of gunk that is supposed to be effective for repairing a puncture, but rarely is. I’m looking at buying a new Skoda Octavia, and a space saver spare wheel is an optional extra. My question to you is: Should I pay out £110 to buy one, or should I give it a miss, bearing in mind that the last time I had a puncture was more than five years ago. I read somewhere that carrying around a spare tyre is equivalent to a small child, so would I be better to go without and avoid the extra weight? Will it make much difference to my fuel economy and/or CO2 emissions? I have breakdown cover as part of my bank account, so it doesn’t cost me anything to call out a breakdown van in the event of a puncture. I would appreciate your expert opinion. Hello Mr. Benson, and thanks for your letter. Like you, I would not want to depend on one of these puncture repair outfits, and I think itís a bit of an insult for manufacturers to ask people to pay out substantial money for a spare wheel and tyre, albeit often a space saver one, on a cheap steel wheel. Sometimes thereís not even space for one of those! But in your position, I would pay the £110 for the Octavia space saver fairly happily, as itís a lot less than some manufacturers charge and not bad value. You can bet that if itís five years since your last puncture, another one will turn up sooner or later, although I do have a theory about people and punctures! I get weary of hearing from the same people (shhh ñ quite often neighbours, and my relations!) how many punctures they have. I think itís the way they drive too close to the side of the road, and donít use the proper passing places on the single-track roads around where I live. Close up to the kerb, if there is one, and verges of grassy banks is where all the detritus like nails, screws, glass, and the like accumulate. If you drive through such areas regularly, then you are going to be prone to suffering from frequent punctures. They would probably roll their eyes if I told them that, but most of them have time on their hands, and more money than sense anyway. As for the CO2 emissions and fuel economy, the weight effect is likely to be literally insignificant ñ the spare wheel represents, at most, two per cent of the weight of your car and passengers, and that means itís unlikely to increase your fuel consumption by even as much as one per cent, since most of the fuel is used in overcoming aerodynamic resistance, unless you drive in nothing but urban areas. I must say I am torn about my attitude to calling out a breakdown service for a puncture, or changing the wheel myself. If youíre getting a new car, you need to educate yourself as to where all the kit is, where to place the jack and so on. 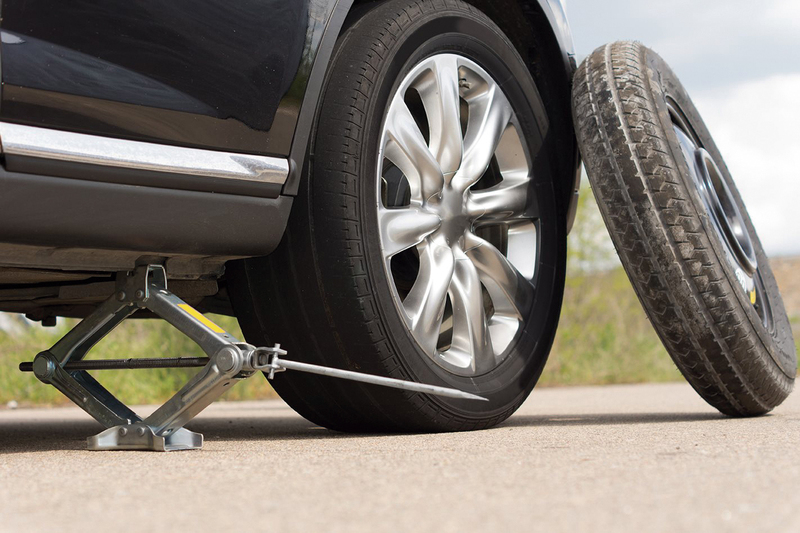 And if the puncture happens in a dangerous place, like a road with fast passing traffic, or in the dark, rain or snow, maybe youíre best leaving it to the professionals, if you can handle the inevitable wait. It might be worth checking what sort of national coverage the breakdown service that comes free with your bank account has, and that itís one with a decent reputation. P.S. Nice to have a real hard copy ìpen and inkî letter delivered by Royal Mail. I begin to think that most people have given up the habit. Then again, I can barely read my own writing now ñ not due to my eyesight, but due to the quality of my handwriting!